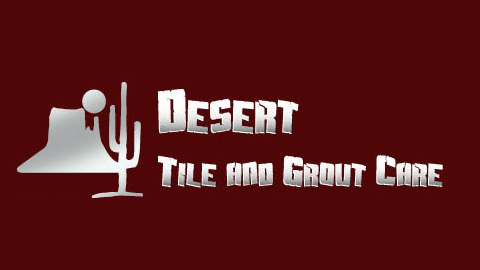 Desert Tile & Grout is a local, Arizona-based company that specializes in providing top-industry tile and grout cleaning services to home and business owners throughout the Phoenix Valley. Our Arizona tile cleaning experts are trained to work with floors of all types, including ceramic tile and grout, stone, brick patios and walkways, marble floors, Mexican tile, Travertine tile, and more. If your floors are in need of a professional touch, we can help rejuvenate, seal, and restore your floors to look brand new. Our company offers a number of cleaning and sealing services for home floors and other indoor and outdoor surfaces. Some of the materials we work with include ceramic tile & grout, Travertine tile, slate, marble, flagstone, Mexican tile, and Saltillo tile. Whether your home is in need of cleaning and sealing for kitchen floors, your entire home, or outdoor patios & walkways, we can deliver top-quality, lasting solutions for your home. Along with professional cleaning and sealing for tile and grout floors, walkways, and patios, our company experts specialize in staining and colorization. Clients often choose to colorize AZ Mexican Tile floors or grout to match decor in their home or for an upgraded look. Our professional tile cleaners possess the skill and materials to make your Mexican tile or grout any color you desire. Check out our gallery or blog for some great ideas for floor staining and colorization for your Arizona home or business. Job Well Done, Thanks Again! 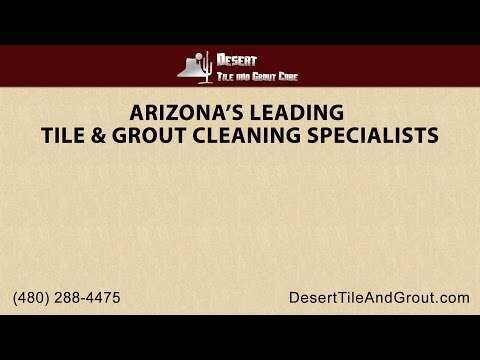 In addition to providing residential tile care, we also possess all required licensing & Insurance needed to provide tile cleaning for commercial locations throughout the Phoenix Valley. If you own a commercial business or office location, you know that your building serves as a first impression of your business for clients. A building with clean floors and restored brick, stone, and marble is likely to create a positive image for your company. We are highly-experienced in commercial cleaning and can provide services during business-friendly hours. Our company provides affordable, quality cleaning and restoration services to areas in and around Phoenix and the East Valley, including Gilbert, Chandler and Mesa. 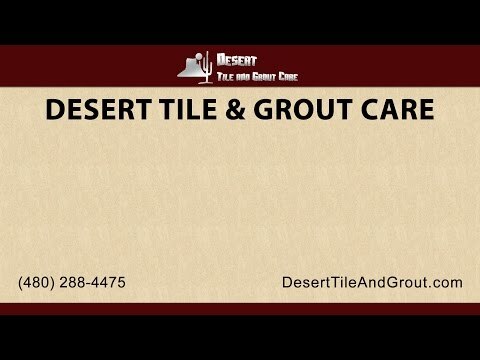 Whether your faded brick needs to be cleaned and sealed, your ceramic tile needs a professional clean, or you want your handmade Mexican tile made to look like new, there is no better way to bring out the vibrant colors of your beautiful home than with the professional care of Desert Tile And Grout Care. Contact our company today to learn more about service options available for your ceramic tile, brick, stone, or marble.